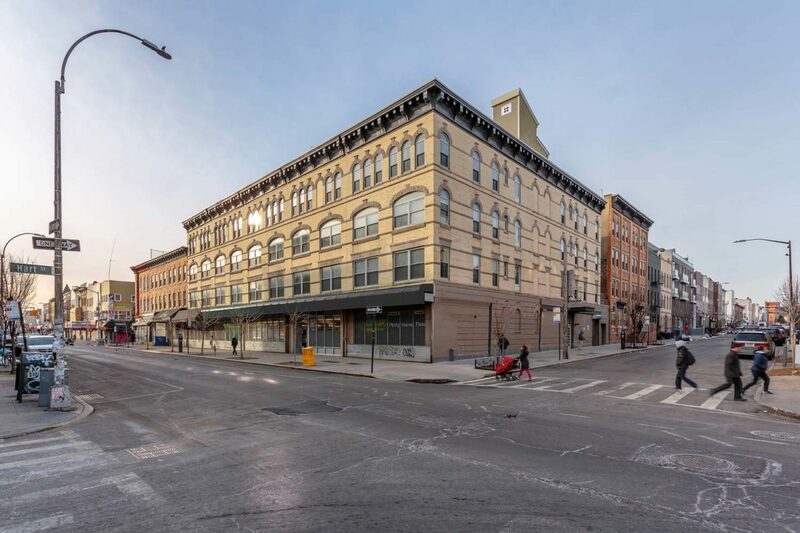 The Knick is a conversion of seven four-story walk-ups dating from the early 20th century, into a unified condominium complex in which each unit is LEED Homes certified. The buildings, which stood boarded up and uninhabitable for 20 years, were rehabilitated to provide generous and sustainable living spaces. Amenities include a rooftop lounge, a fitness center, on-site bike storage and parking, remote door answering service and storage for deliveries, and ground-floor retail. 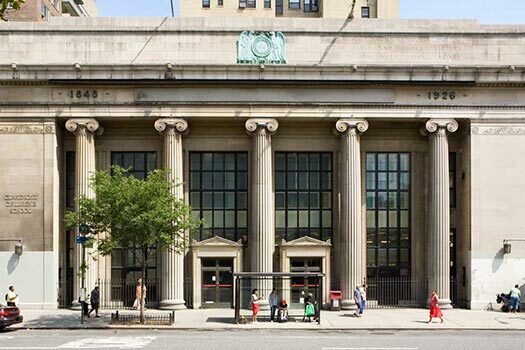 Prior to being adapted from a CVS drugstore to a preschool, this Landmarked Beaux Arts building originally served as a bank. The 20,000 square foot space was converted to a new multi-level private preschool on Manhattan’s Upper West Side. Today, the vaulted entrance hall of the Montclare (previously Claremont) Children’s School provides an abundance of space for children to play and interact. This adaptive reuse of a former vaudeville theater saw a new six-story steel and concrete structure inserted within the theater’s original masonry walls to house a high school whose academic focus is social justice and change. 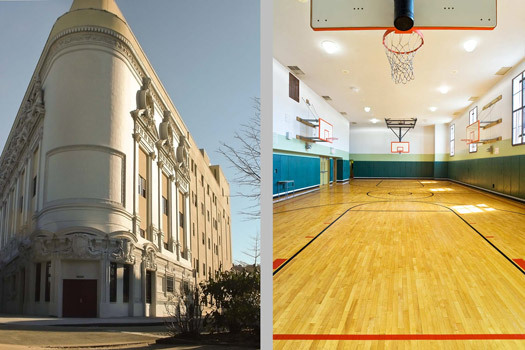 Among the unique retrofits to the building, a gymnasium was inserted into the former theater’s flyspace, while the ornate stone and terra cotta exterior was restored to its former glory. 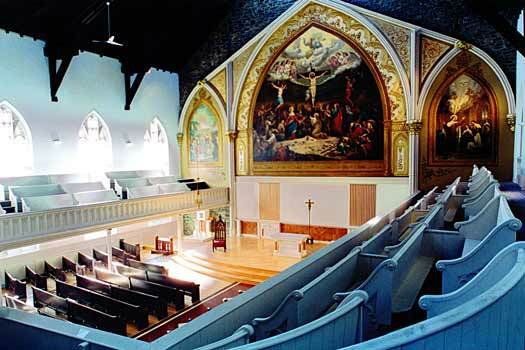 Originally built in 1841, this English, Spanish and Chinese-speaking parish was nearly closed after a ceiling collapse in 1997. The rough timber trusses and ashlar stone walls exposed by the disaster were made assets by the architects in the rebuilding of the sanctuary. Elements of the destroyed altar were transformed into a new altar, baptismal altar and other decorative elements. 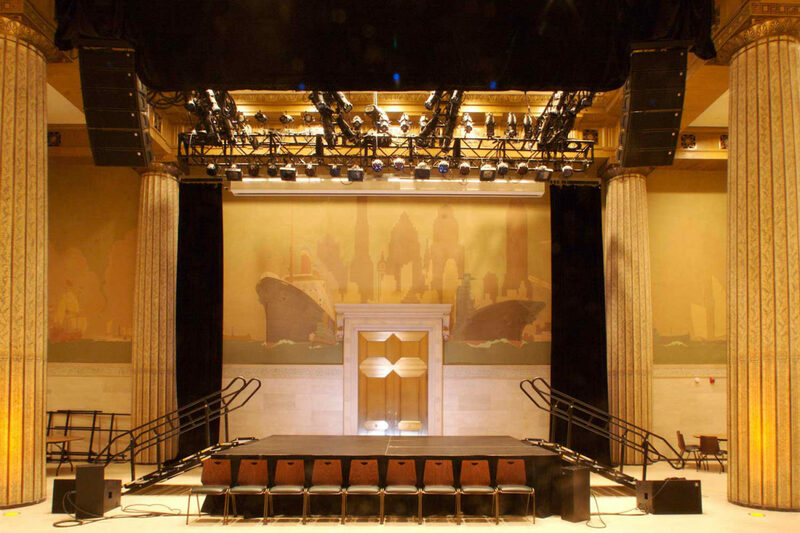 This project entailed the restoration and conversion of a former Lee, Higginson and Company Bank headquarters in the heart of New York’s financial district into a school for 1,000 students grades K-8. Original Neoclassical details were faithfully restored and highlights include a new Olympic length swimming pool and regulation-size rooftop gym and outdoor playground. In 2006, the New York State Historic Preservation Office awarded OCV with the Private Sector Achievement Award for this project. Originally the H. Lawrence & Sons Rope Works, this project was a combined renovation and preservation of 9 historic buildings from the 1850s and 1930s. 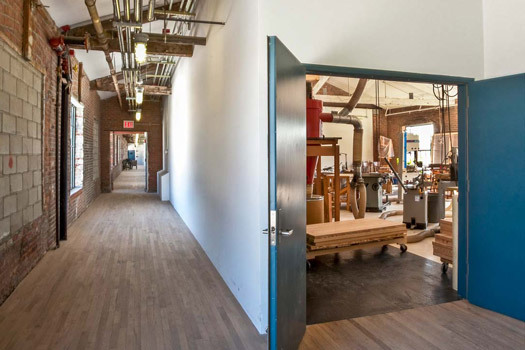 The 317-foot long complex at the western edge of North Brooklyn’s Industrial Business Zone provides light industrial and artisanal workspaces. As the last remaining structure of its kind in Brooklyn it is listed on the National Register of Historic Places. In 2009, the project was recognized with the New York State Historic Preservation Award and a Building Brooklyn Award. 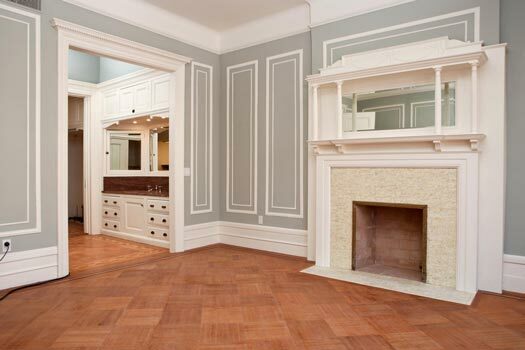 Located near St. Nicholas Park in Harlem, this historic brownstone was both restored and renovated after suffering from fire and subsequent water damage. Details were meticulously restored to their original condition and the entire brownstone was upgraded with new plumbing and electrical services, a central air conditioning system, recessed lighting, and hardwired with a sound system on the first floor and wireless ethernet throughout. 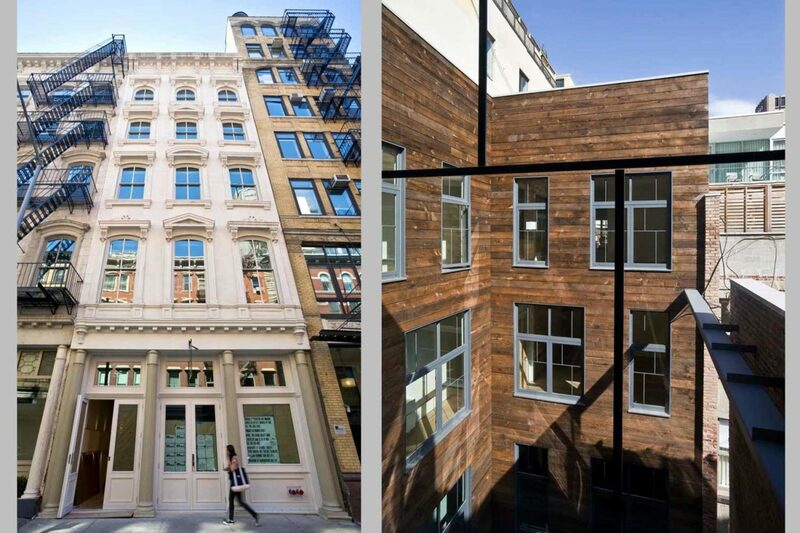 OCV converted the historic buildings at 55 Warren and 55 Murray Streets into a single address that redefines luxury living in Tribeca. The renovation addressed the historic preservation of the two facades with a completely gutted, fully appointed contemporary interior and a new, full depth courtyard in the center of the unified building, bringing natural light and air deep into each unit.